We are very proud to introduce this magnificent Teak Root Stool Storage Cube. This cube has a beautiful design that'll be sure to grab attention, whilst creating a modern atmosphere in any home. 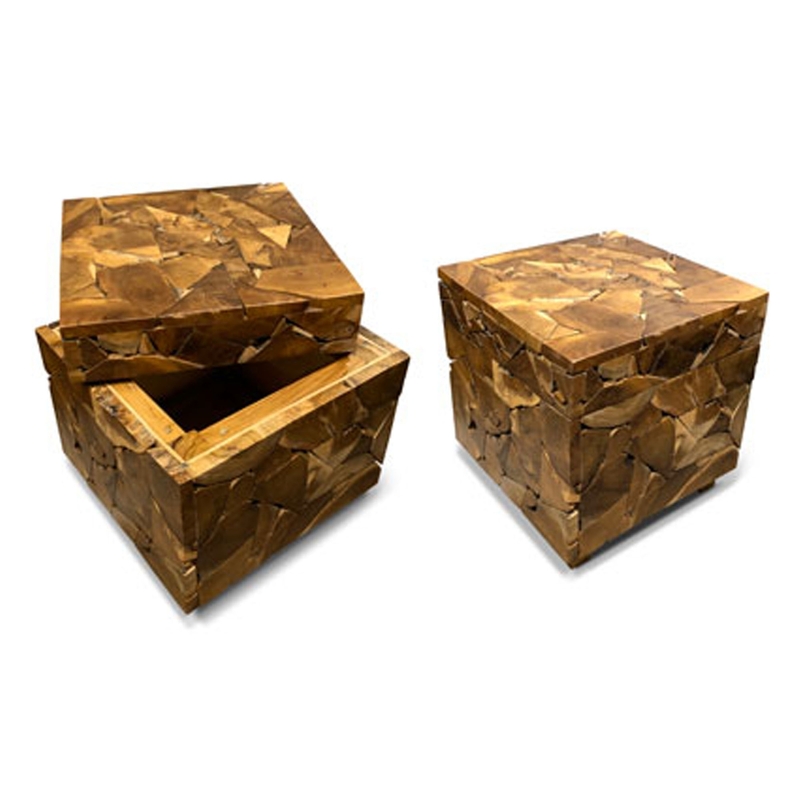 This cube is created from a teak root material, it acts as both a stool and a storage device which makes it very practical and stylish.